The 11th PACUIT National Conference was held on April 22-24, 2013 at Cebu Business Hotel, Cebu City in collaboration with the Cebu Technological University in Cebu City and the Colombo Plan Staff College for Technician Education in Pasay City, Philippines. 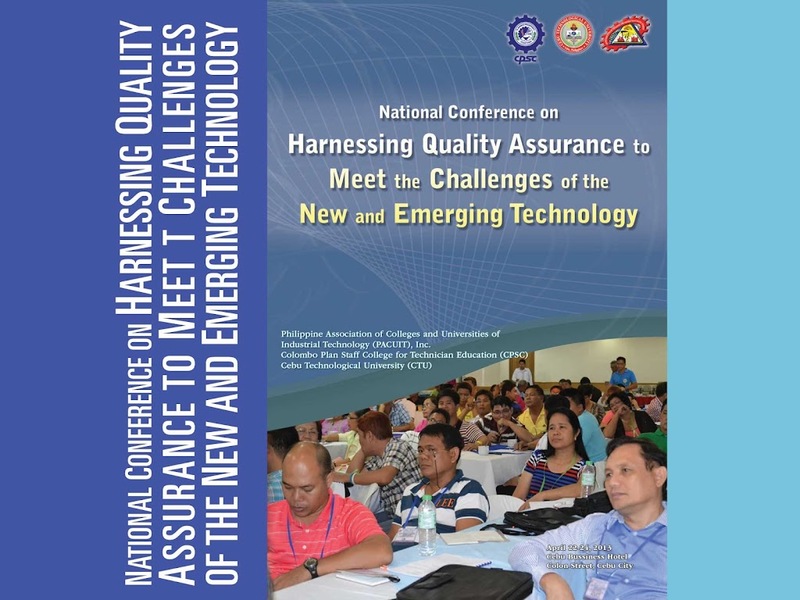 The theme of the Conference was: "Harnessing Quality Assurance to meet the Challenges of New and Emerging Technology"
The three-day conference was attended by 243 participants from 40 member- institution of the association and from 9 other higher education institution in the Philippines, and invited resource speakers. The participants include SUC Presidents, Deans, Professors, Instructors and Researchers.